The beautiful and varied shapes of leaves make for wonderful art. This project allows the 3rd Grade to practice their skills of tracing, using a ruler and following directions. This picture doesn’t show the glitter, but it is especially beautiful with the glitter added. Using white glue and gold or silver glitter, rather than the glitter glue, really makes for an outstanding project. 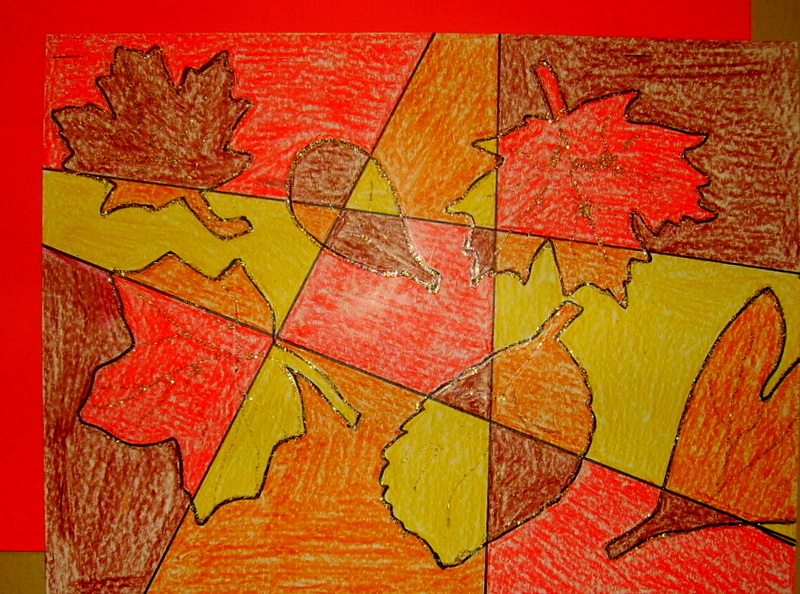 Directions for “Fall Surprise” are in the 3rd Grade Projects Gallery in the sidebar. This entry was posted in 3rd Grade and tagged 3rd Grade, art, art for kids, autumn leaves art for kids, classroom autumn leaf art, colorful autumn leaves craft, fall leaf art, fall surprise, glitter, leaf art, leaves. Bookmark the permalink.